Skypatrol, a leader in GPS Tracking Solutions, is pleased to announce Remote Auto Payment for vehicle finance companies and BHPH dealers through Skypatrol’s mobile app. Borrowers will now be able to pay loans remotely using either online banking or with cash at local authorized retail stores. Skypatrol has created another way to increase the value of their award winning Defender software platform by offering tools to improve the profitability of their customers. Now, with Skypatrol’s Remote Auto Payment feature, borrowers in the U.S. can take cash payments to a neighborhood 7-Eleven®, ACE Cash Express® or other authorized retail stores where the clerk will accept the cash and initiate a virtually instant payment transfer. ACE is the largest owner and operator of check cashing stores in the United States and 7‑Eleven, Inc. is the largest chain in the convenience retailing industry with over 57,000 locations globally. To make a remote payment through either retailer, the lender sends a PayCode via email, SMS text or on a printed card. 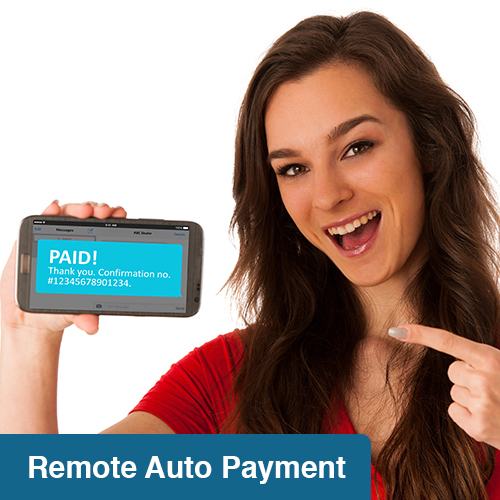 Remote Auto Payment also includes a recurring billing system through a secure, cloud-based payment platform that enables consumer payments by using a credit card or debit card. The system allows lenders to set up a billing program that is customizable for individualized payment schedules whether they are monthly, bi-weekly or weekly. Lenders can operate in a card not present environment streamlining payment acceptance by leveraging automation. Through tokenization, consumer payment information is stored in a PCI compliant environment.